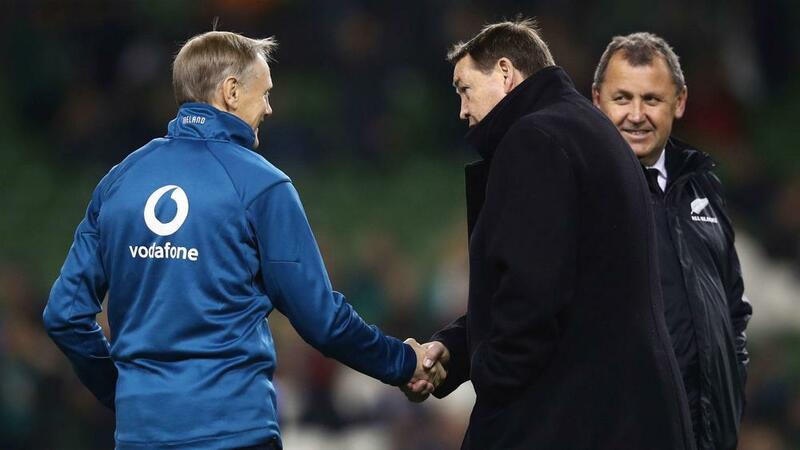 Hansen announced in Auckland on Friday that he will step down after the 2019 Rugby World Cup in Japan. The New Zealander said he will take a break to spend time with his family when he walks away from the Six Nations champions, but also said "never say never" when asked about taking a role with his country of birth. Schmidt has masterminded three Six Nations triumphs and a Grand Slam during his Ireland tenure, also toasting two victories over the world champion. Hansen's trusted assistant Foster should also be in the running to step up. Foster was hailed by Tew for his "invaluable contribution" to the All Blacks' success when he signed a new deal until 2019 last year. The former Chiefs head coach, who looks after the team's back play and attack, has made no secret of his ambition to replace Hansen. Robertson's contract expires after the 2019 season and he has made it clear he would find it hard to say no if offered the chance to coach his country. "The All Black job doesn't come up that often does it? When it does, you have to have a really good look at it," said Robertson, who oversaw New Zealand's 2015 World Rugby Under-20 Championship triumph. Vast experience definitely ought to count in his favour, but Gatland's perceived direct style of play could work against him.